Springtime – time for fragrant blossoms, longer days, and eating outdoors. Time for tender shoots to break through the topsoil. Time to give our bodies the crisp green flavors they have been missing over the long winter months. 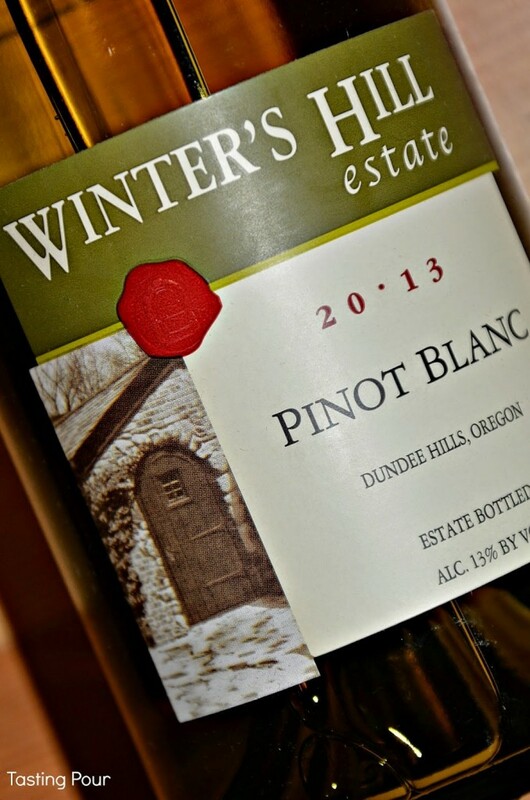 Time for one of our top picks this Spring – Winter’s Hill 2013 Pinot Blanc. Winter’s Hill is one of our favorite wineries in Willamette Valley. It is on our short list to recommend to people looking for two things – really delicious well made wine and the quintessential small family winery where you are bound to talk with one of the owners. We seldom leave their tasting room empty handed and as the season changes we have stocked up on their award winning Pinot blanc. Among other accolades, the wine was awarded the Best in Class Gold Medal at the Sunset International Wine Competition. It is such an easy wine to pair. This wine is full of tropical fruit flavors, rich and full bodied with acidity as crisp as those little green lettuce shoots we see this time of year. If you follow Tasting Pour you know that Pinot blanc is not one of our favorite varietals. 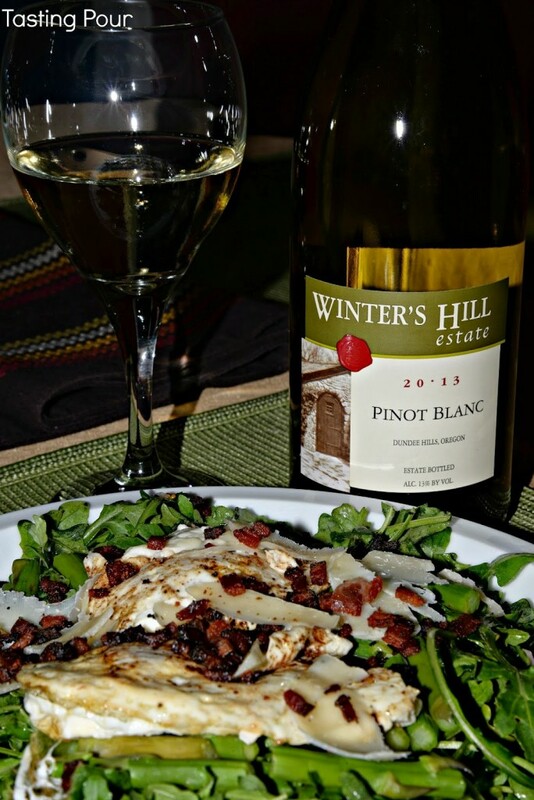 Winter’s Hill takes the “blah” out of blanc and gives us a zesty, fruity accompaniment great for spring meals. Read our full review of this winery at American Winery Guide. We cannot wait for April each year. In April we try to eat asparagus every day. It is like waking from winter hibernation to sink our teeth into a crispy stalk. For our pairing with Winter’s Hill Pinot Blanc we made our favorite asparagus dish, This dish was inspired by Emeril Lagasse and the original can be found here. Bitter arugula, salty parmigiano, smokey bacon, and grassy sweet asparagus are tossed in a tangy dressing of honey, Dijon mustard, lemon juice, white truffle oil and of course our absolute go to artisan olive oil from Red Ridge Farms. Topped with an egg over easy this makes a balanced weeknight meal. And the Winter’s Hill Pinot Blanc is so delicious you can enjoy a glass while cooking. For some reason people get bent out of shape about the “challenge” of pairing wines with summer vegetables. It is so easy. Remember match the weight – lighter food, lighter wine. Match flavors – grassy vegetal notes found in Sauvignon Blanc, a Marsanne/Roussanne blend, and unoaked cool climate Chardonnay are great choices. Add complimentary flavors – do you like a little citrus squeezed on fresh veggies? Think about crisp fruity wines like Albarino or Vinho Verde. For even more ideas, let’s see what Springtime pairings our wine pairing weekend friends have been cooking up. Wine and Dine: Las Lilas Vinho Verde 2013 and Chilled Cucumber with Mint Soup by Grape Experiences. If you are catching this post early enough, you can join our live Twitter Chat on Saturday, April 11, at 11 a.m. ET, via the Twitter hashtag #winePW. If you’ve come to us after April 11, consider joining us for #winePW 12 on Saturday, May 9. Great advice on vegetable and wine pairings. Thanks. 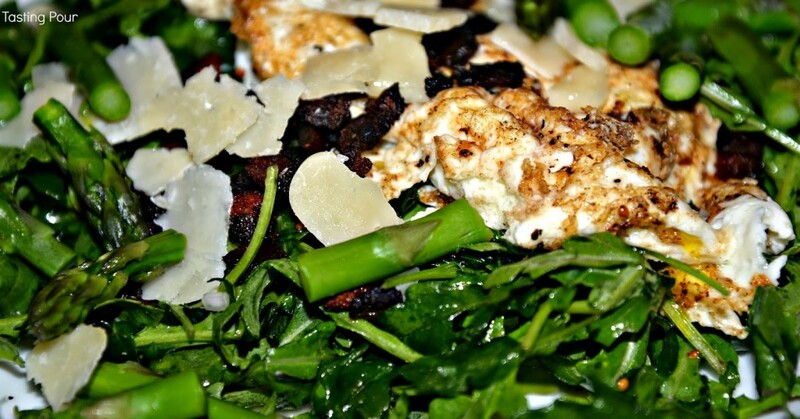 Your wine sounds amazing and that salad is such a perfect combo of flavors! Wonderful!! Thanks for sharing this combo. A nice light spring dish. Seems like we have many asparagus lovers in this group! Ha! I didn't know you are a correspondent for AWG…so am I! Your salad sounds fantastic. I'm gonna have to give it a try. I've had this Pinot Blanc before at a Sunset tasting a couple of years ago. If memory serves, I really enjoyed it! Great post – love the pairing and inspiration behind it. I'm going to have to order some of this Pinot Blanc to try. Thank you for sharing our Pinot Blanc with your fans. The recipe sounds delicious.